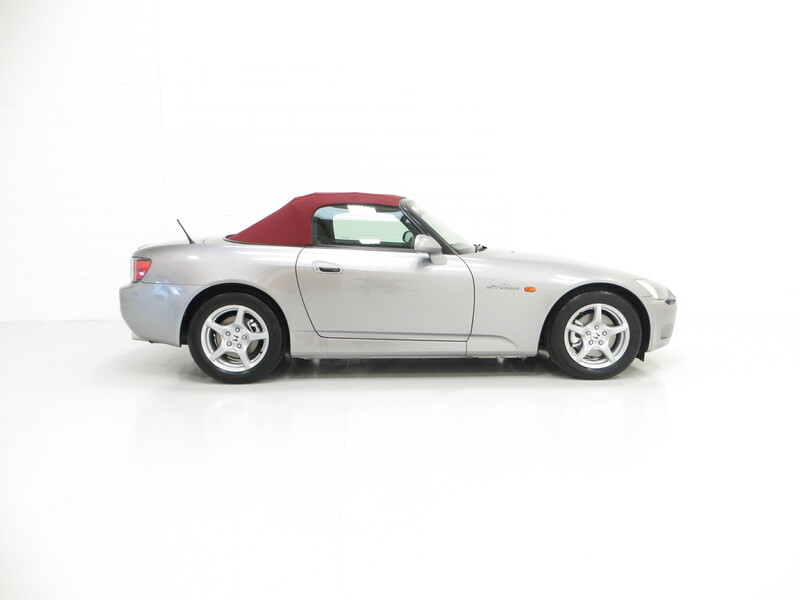 An exhilarating Honda S2000 AP1 with an incredible 16,265 miles from new. Side impact protection beams, seat belt buckle pre-tensioners, front and rear anti-roll bars, roll over protection, HID headlights, headlight washers, high level rear brake light, SRS airbags, electrically adjustable and heated door mirrors, bee sting aerial, remote keyless entry, air conditioning, alloy gear knob, leather wrapped steering wheel, drilled aluminium pedals, electric soft top with glass rear screen, tonneau, Honda 2SFO stereo, remote stereo controls. Dealer accessories; 6 disc CD changer, Honda tailored floor mats, rear headrest airflow screen, utility net. Finished in the official launch colour of Silverstone Metallic, (Code NH 630M), this drop dead gorgeous two seat sports car looks stunning from every angle. 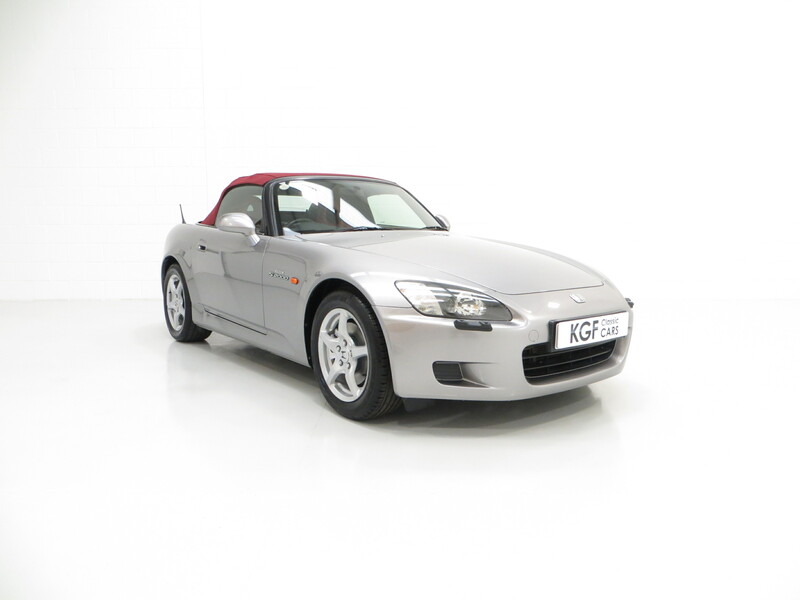 The paintwork boasts a beautiful metallic shine and uniform finish, commensurate with the incredibly low mileage of just 16,265 miles. All lightweight panels are beautifully straight and in preserved condition with only very few miniscule stone chips to the front and a tiny mark to the offside rear wheel arch, barely worthy of mention. The £845 upgrade claret electric hood with glass rear screen is quick and effortless and in pristine condition. The HID headlights are clear with no discolouration, as are the original factory fitted rear lenses and correct orange side repeaters. All trim sections and S2000 badges are as new and the supplying Honda main dealer service sticker and tax disc holder have been kept. 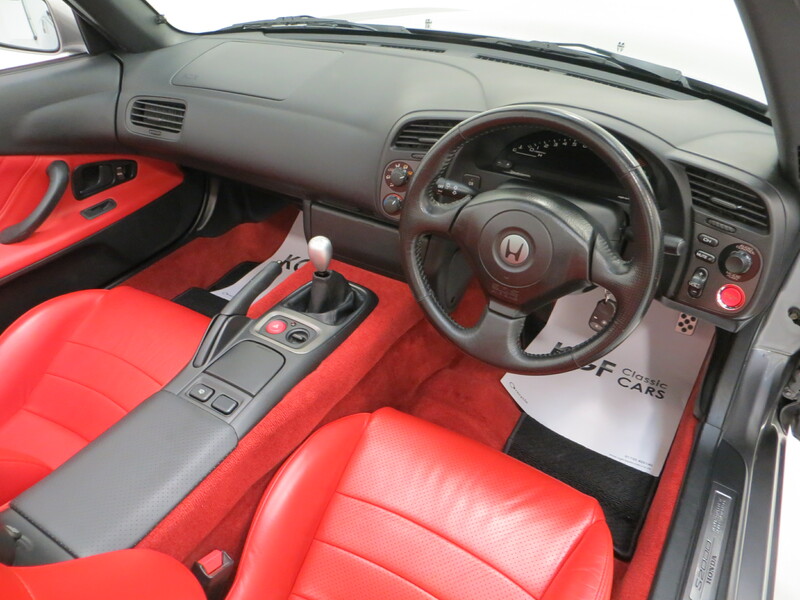 This exceptional example represents an original, unmolested and truly cherished car that has firmly cemented Honda’s repute for innovation and precision engineering. A perfectly proportioned, functional and beautifully built interior designed to maximise driver enjoyment. 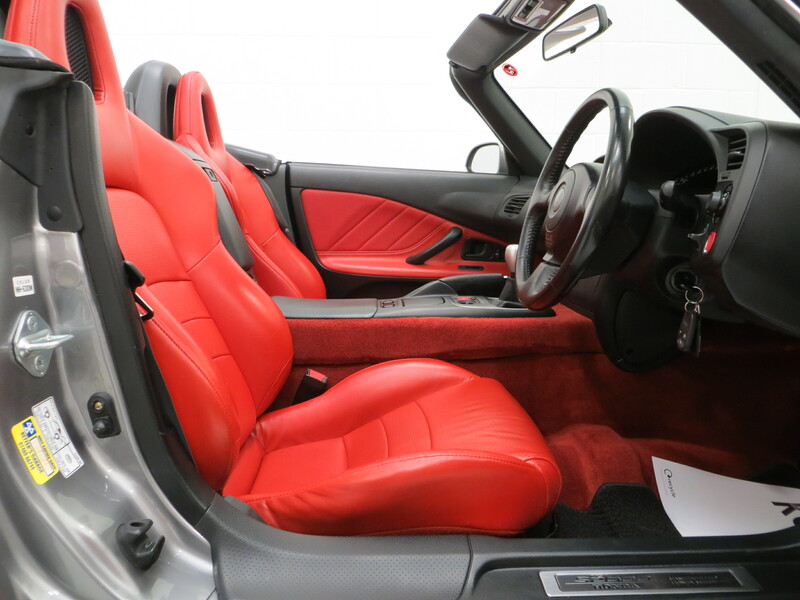 The pristine high-grade luxury Red leather, (Code Type Z), remains in superb order with the figure-hugging seats firm and intact with only light wear to the driver’s seat outer bolster. 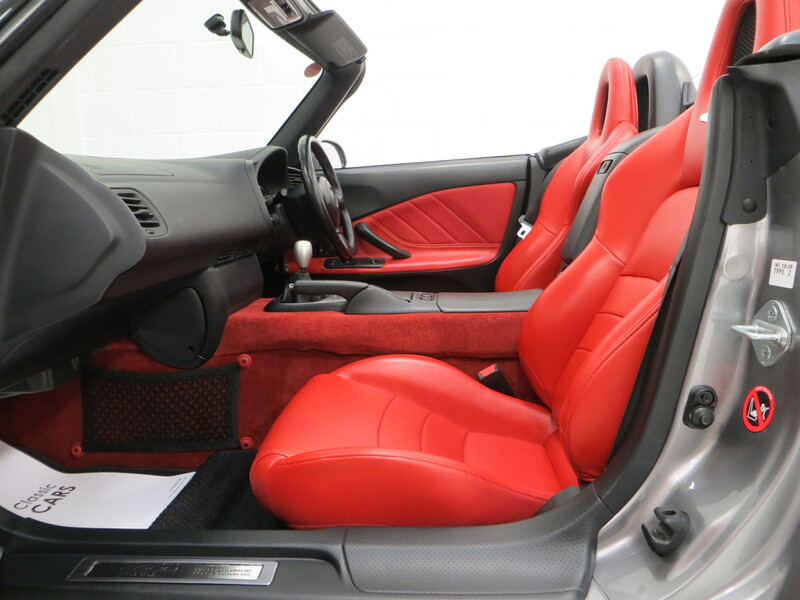 The matching door cards are perfect and the bright red carpeting is fresh, unfaded and unworn. 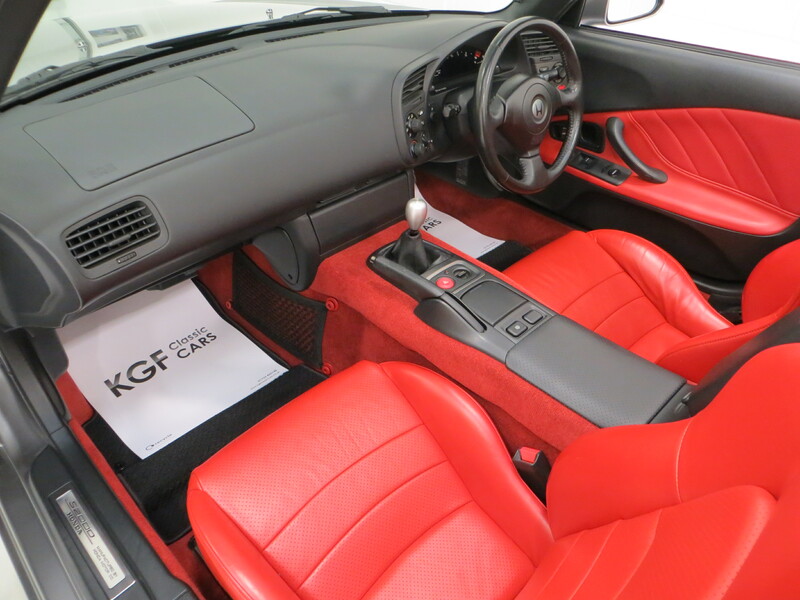 Brand new genuine Honda fitted carpets mats were sourced in October 2018 at a cost of £169.99 revealing the level of care bestowed on this car. The dashboard and fascia are as new and the red start button hints towards the excitement in store. The digital head up display with race style tachometer and speedometer operates perfectly with all pixels intact and functional. 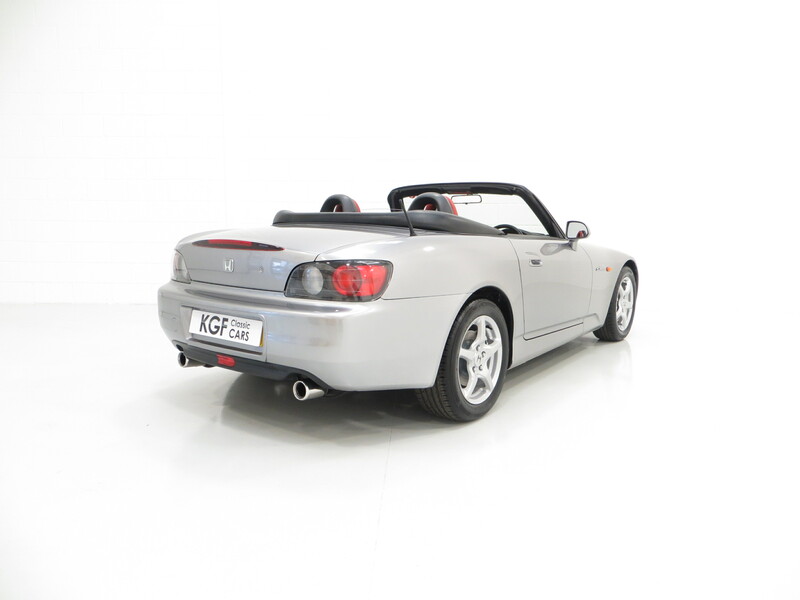 Originality seekers will be pleased to see factory stickers remaining in the door shuts and the optional CD Changer with Honda S2000 cover fixed to the boot floor. Poised, exciting and very addictive! Underneath the bonnet is a 2.0i VTEC race bred engine. This sophisticated VTEC system changes the timing and lift of the valves to combine good torque characteristics at low revs with high power at high revs. A power output of 240bhp at an almost unheard of 8300rpm and 208Nm of torque at 7500rpm allows a blistering 0-62 time of 6.2 seconds and top speed 150mph. Factory stickers to the bonnet underside and immaculate engine bay as well identification plates, bulkhead chassis stamp and coloured PDI dabs confirm the absolute originality of this amazing example. 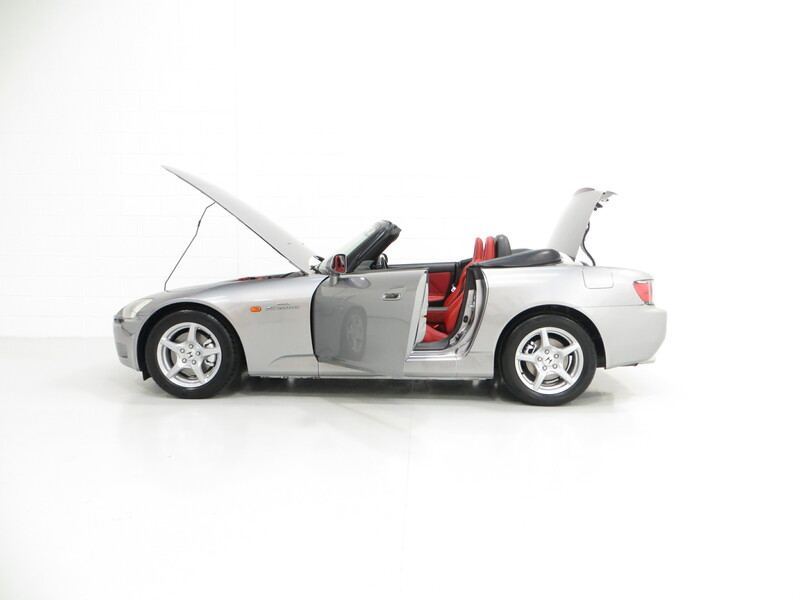 The short shift 6-speed gearbox is impeccably precise and adds to the 9000rpm redline S2000 magic! 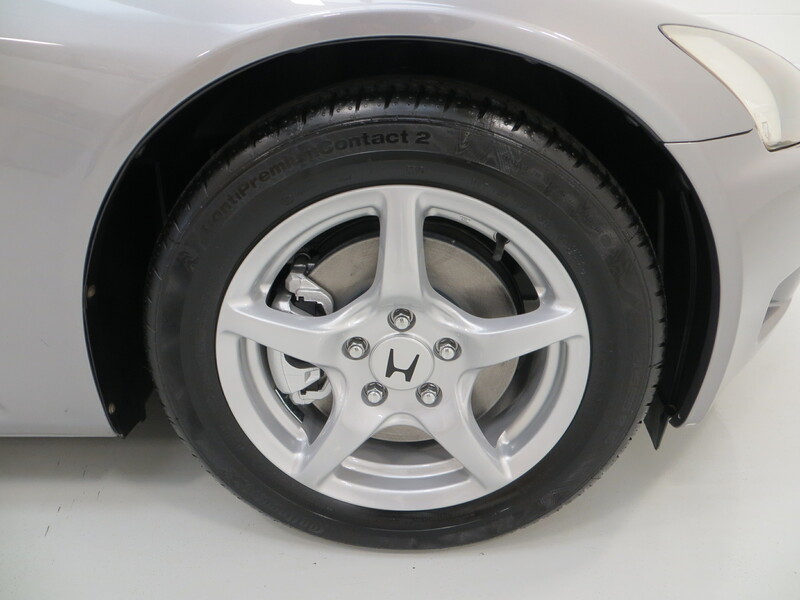 Factory standard 16in sports alloys are in pristine order with no scuffs or kerb damage whatsoever. Continental ContiPremiumContact 2 tyres of size 205/55 R16 and 225/50 R16 front and rear respectively were fitted new in 2015 with less than 1,000 miles covered. The anti-lock braking system (ABS) features 300mm ventilated front discs and 282mm solid rear discs to offer sharp and assured stopping power to cope with the epic performance. 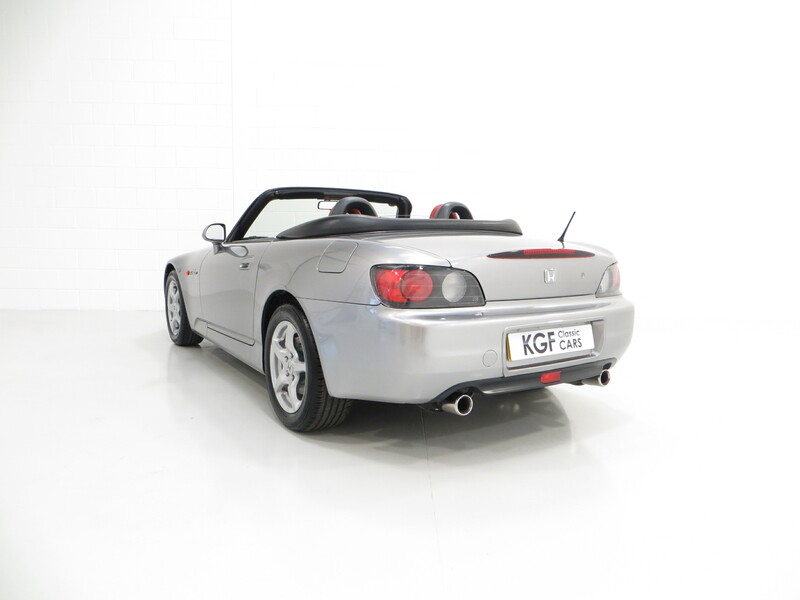 Registered new by Main Dealer Johnsons Honda of Oxford on 15th December 2000, this exceptional example has covered an incredible 16,265 miles from new. 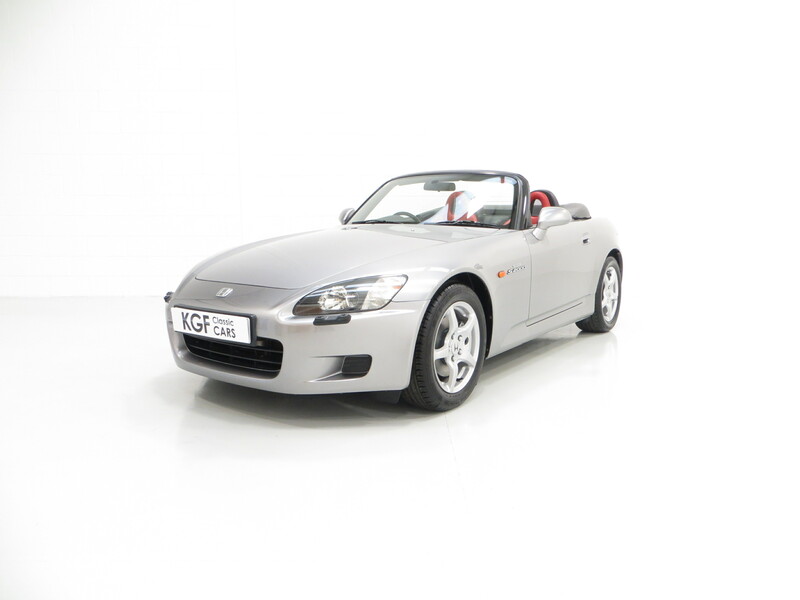 The original service booklet is stamped with 12 Honda Main Dealer and specialist entries to full verify the mileage, the last entry being November 2018 at 16,264 miles at which time the front and rear brakes discs and pads were replaced. 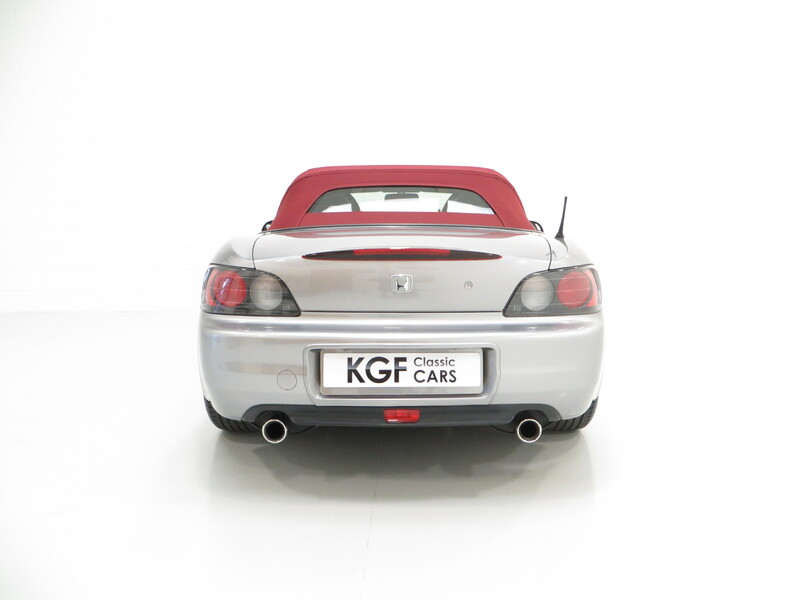 With just three keepers from new, it is clear the car has been owned by enthusiasts who have recognised the importance of fastidious maintenance, a notion backed up in the driving manner of the car. The original Honda wallet holds the vehicle handbooks and there are three sets of keys plus the grey master. A further neatly filed history folder holds all service invoices and evidence of works completed and there is an original sales brochure included. 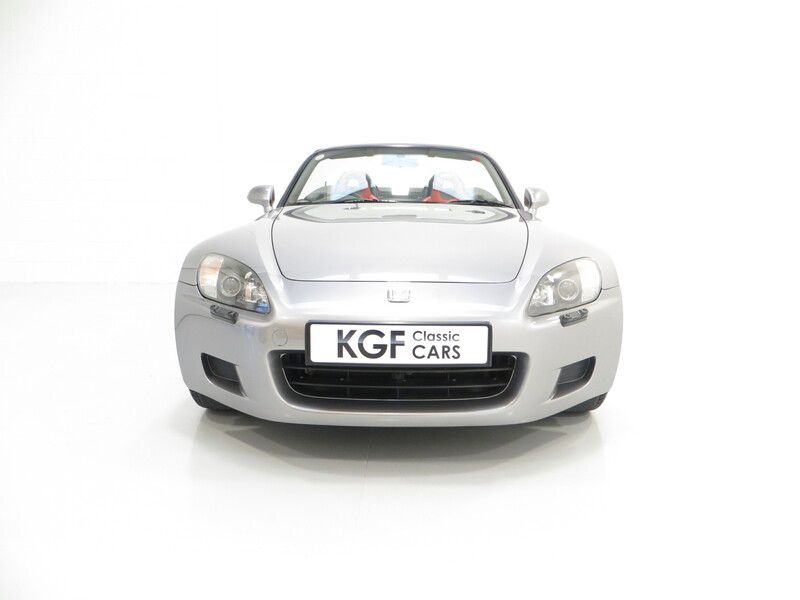 Remaining exactly at Honda intended and preserved with exceptionally low mileage, this pampered example is the ultimate modern classic sports car.